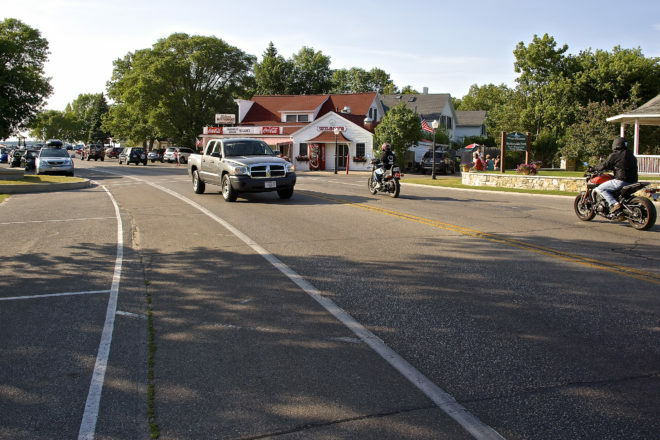 “Well, we’ve got ourselves a project,” Ephraim Village President Mike McCutcheon said after the village board approved a slew of items related to its long-simmering streetscape project. The project has been under discussion by the village for five years. The board voted unanimously on the other aspects of the project, which included a construction engineering contract for engineering firm AECOM, the firm chosen a year ago by the village to oversee the project; and various contracts to bury utility lines, including $184,000 to Frontier Communications and $77,500 to Nsight. Although it was not on the agenda, the board learned that Charter Communications considers the project a “highway force relocation” and will absorb the $211,000 cost of burying its lines. “We need something in writing from someone that we are not going to get billed,” McCutcheon said about the Charter burial. Work is set to begin March 4 and run through June 28.